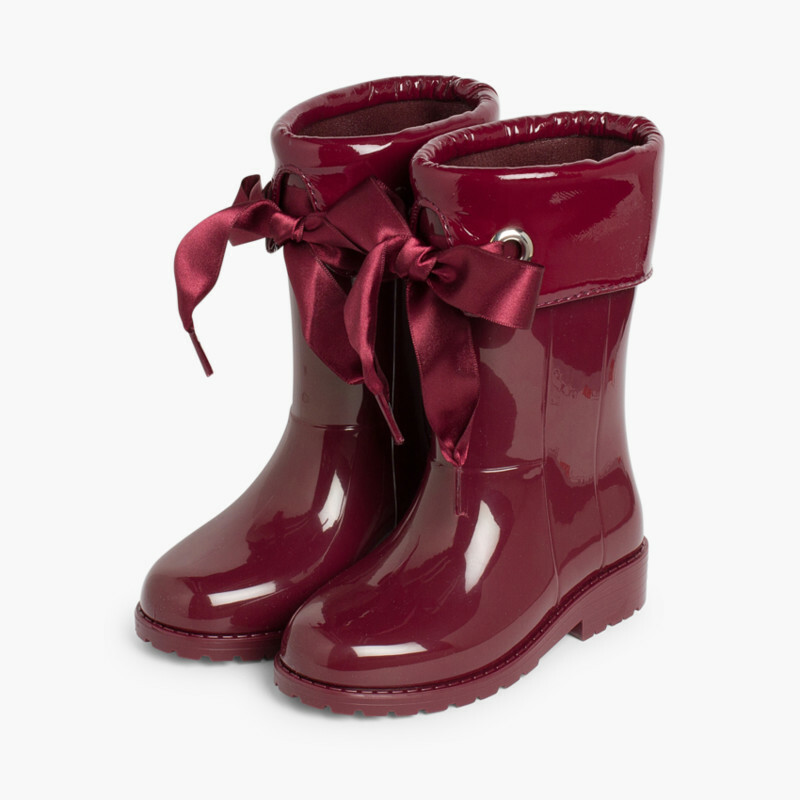 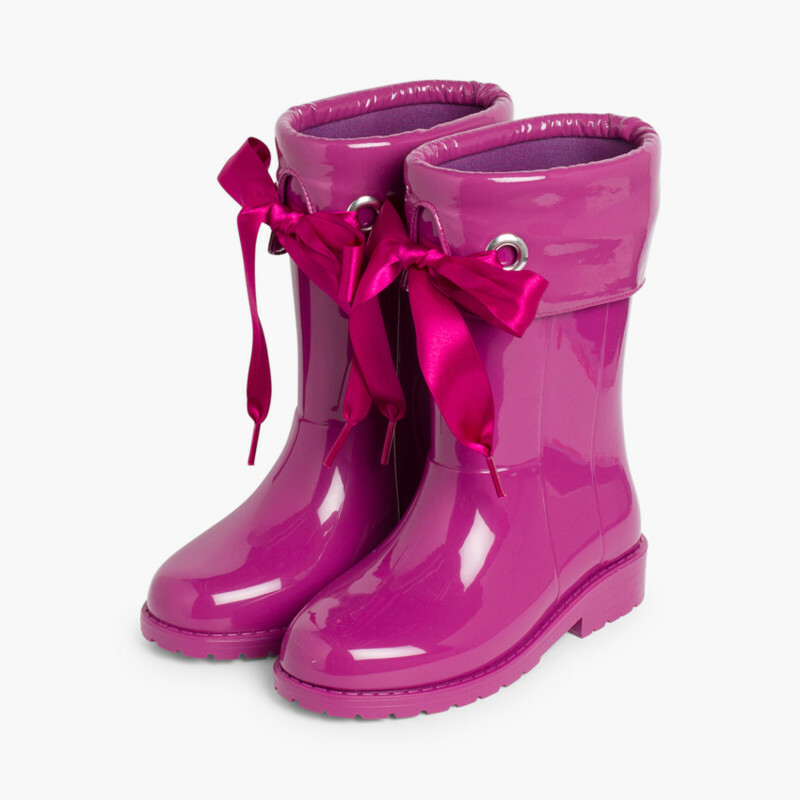 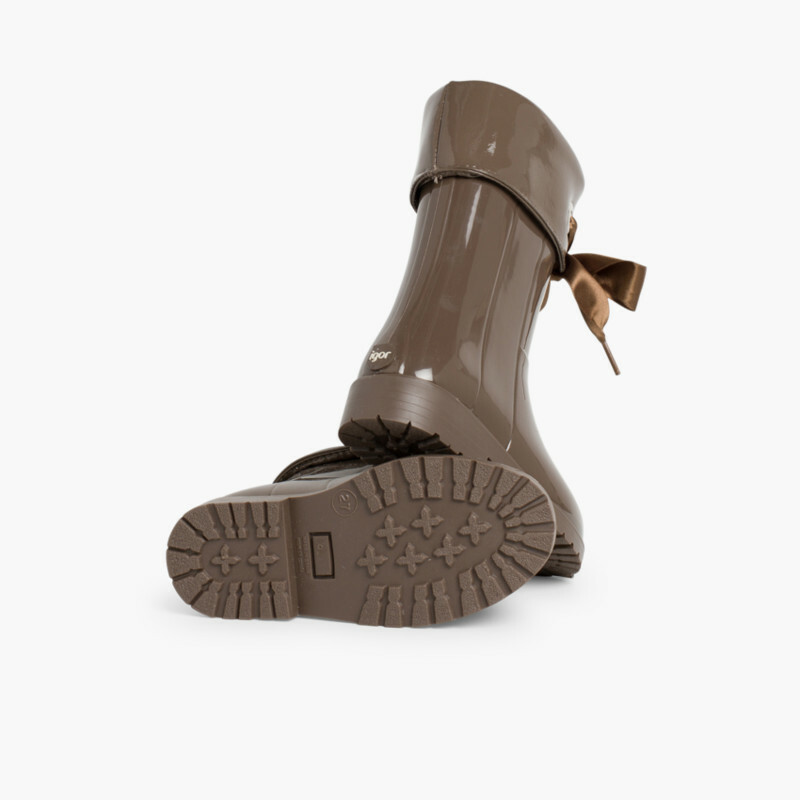 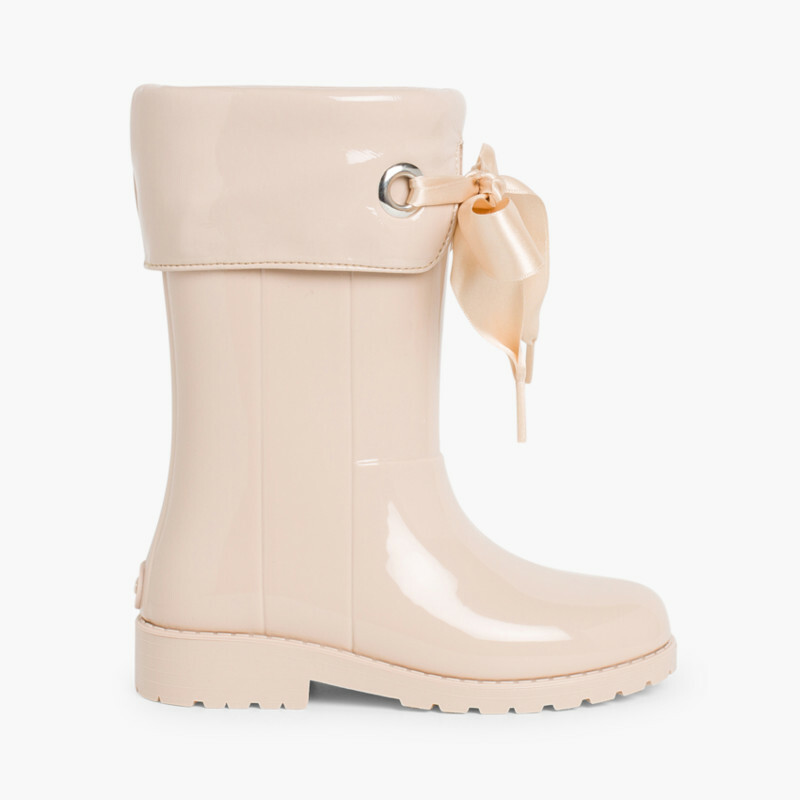 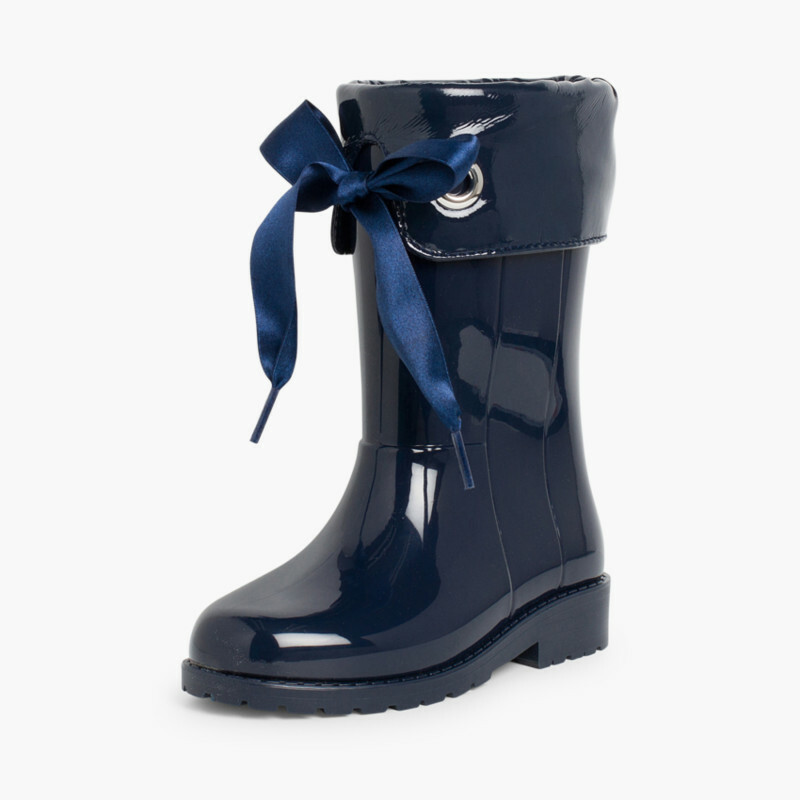 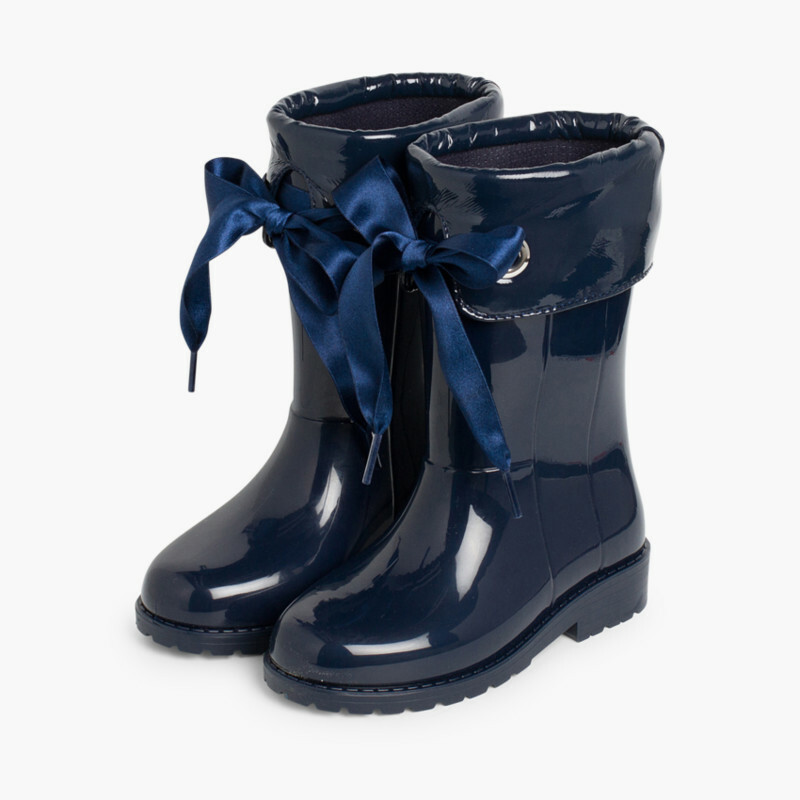 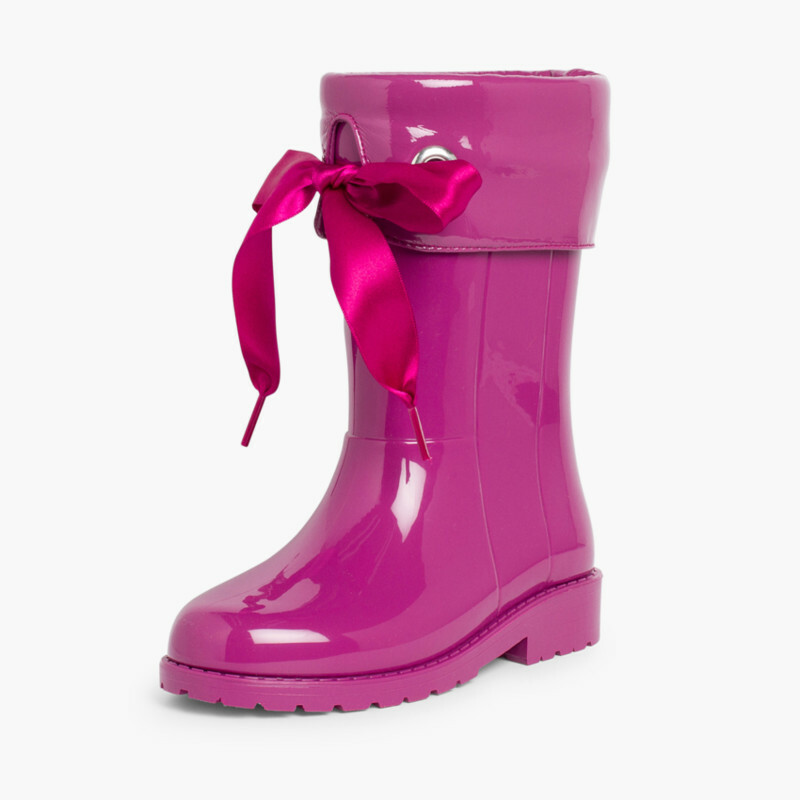 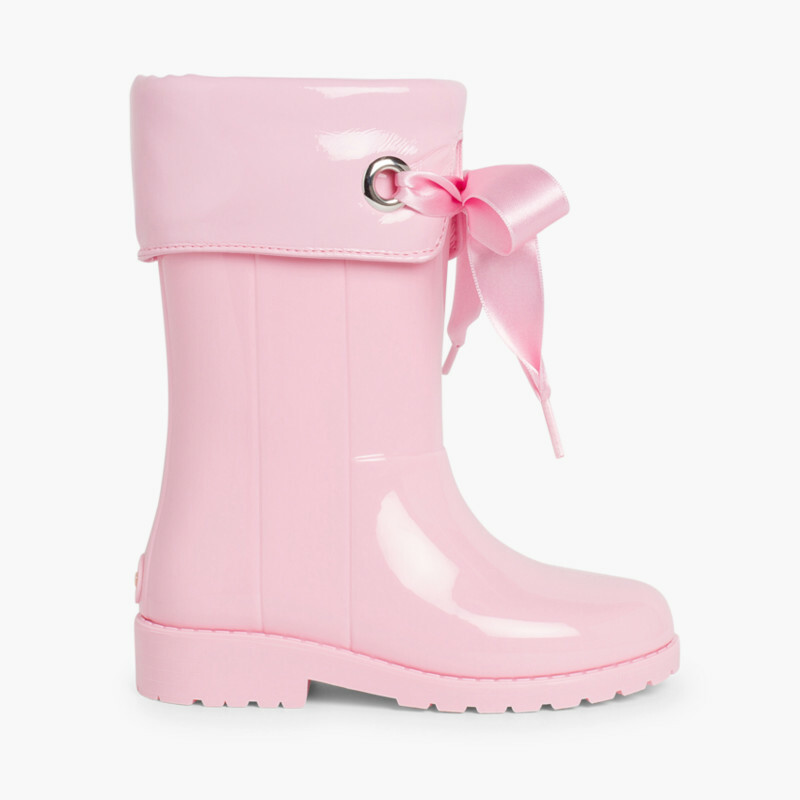 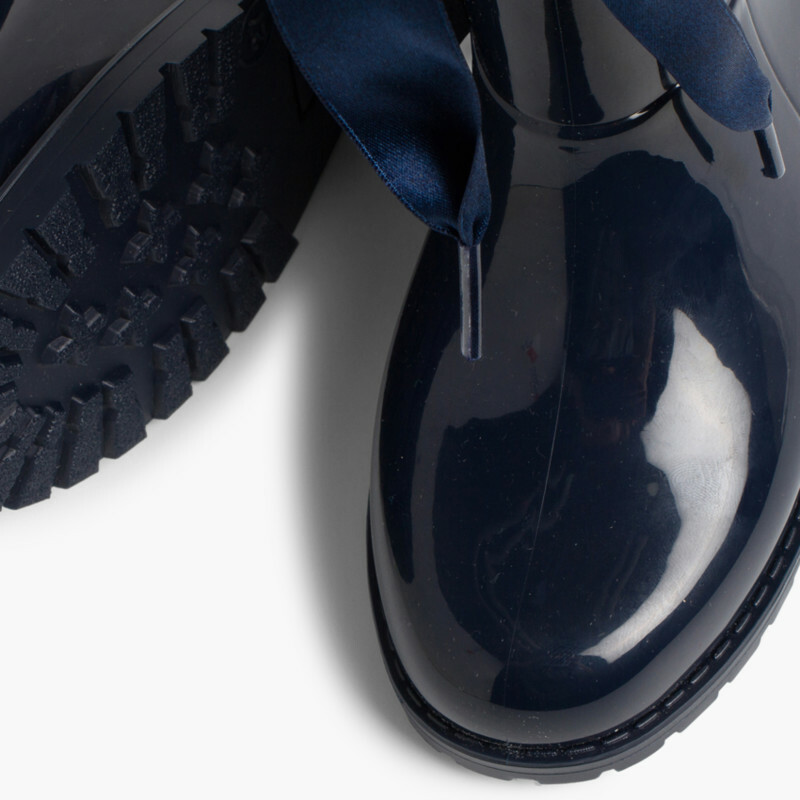 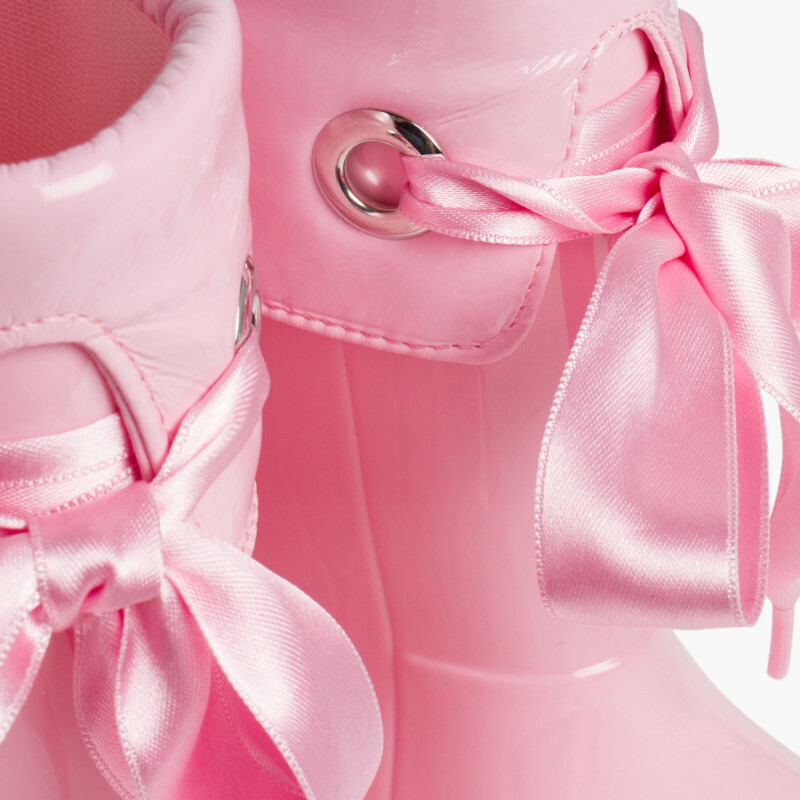 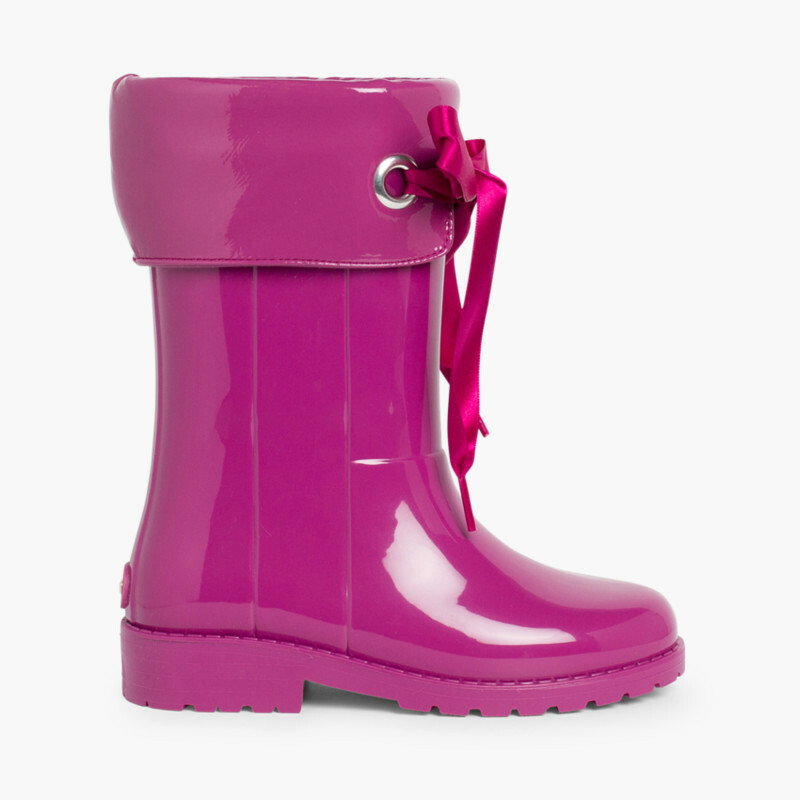 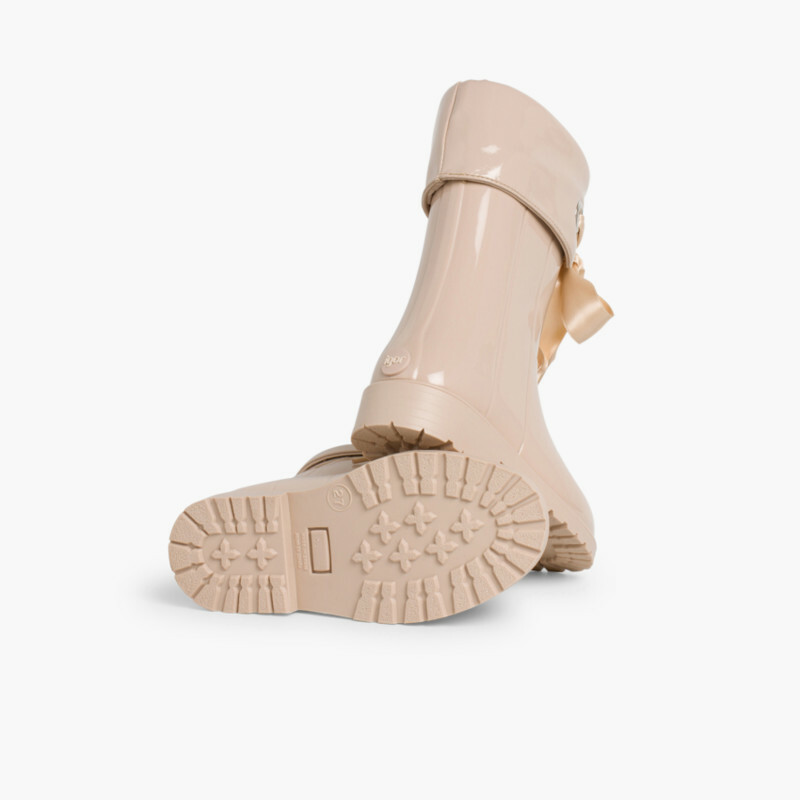 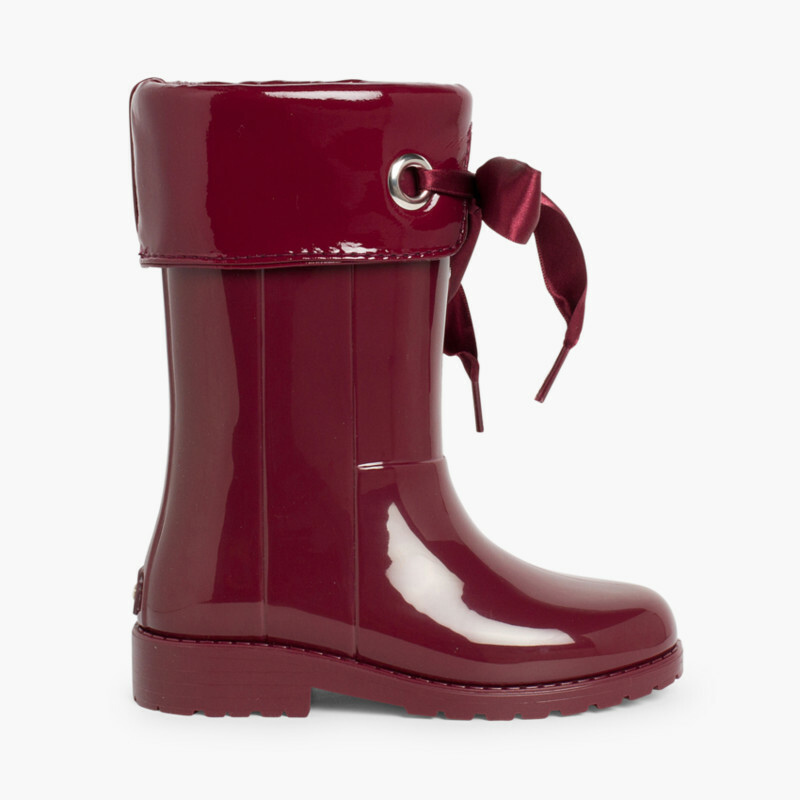 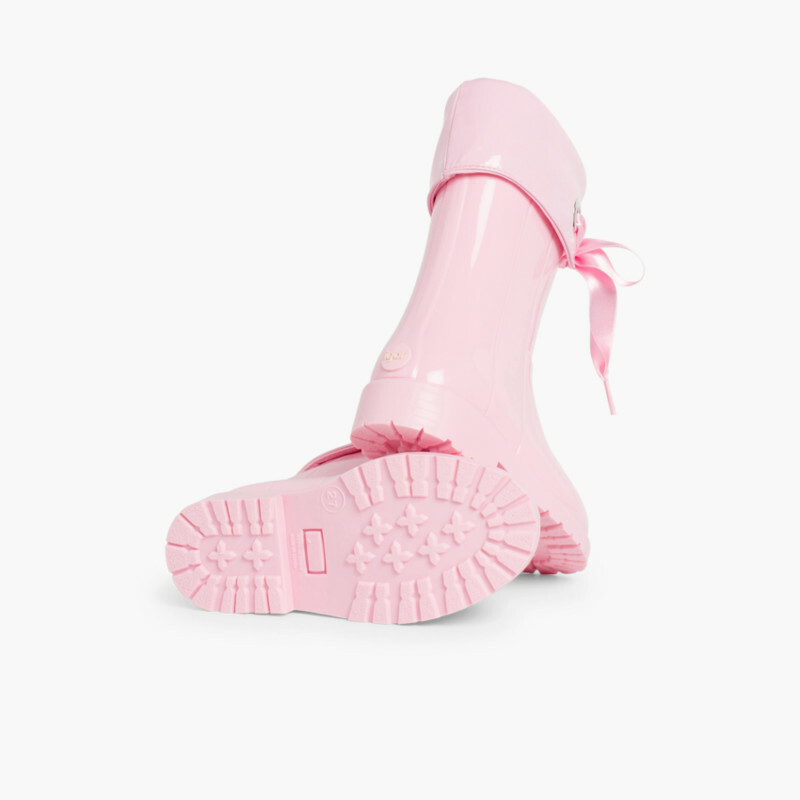 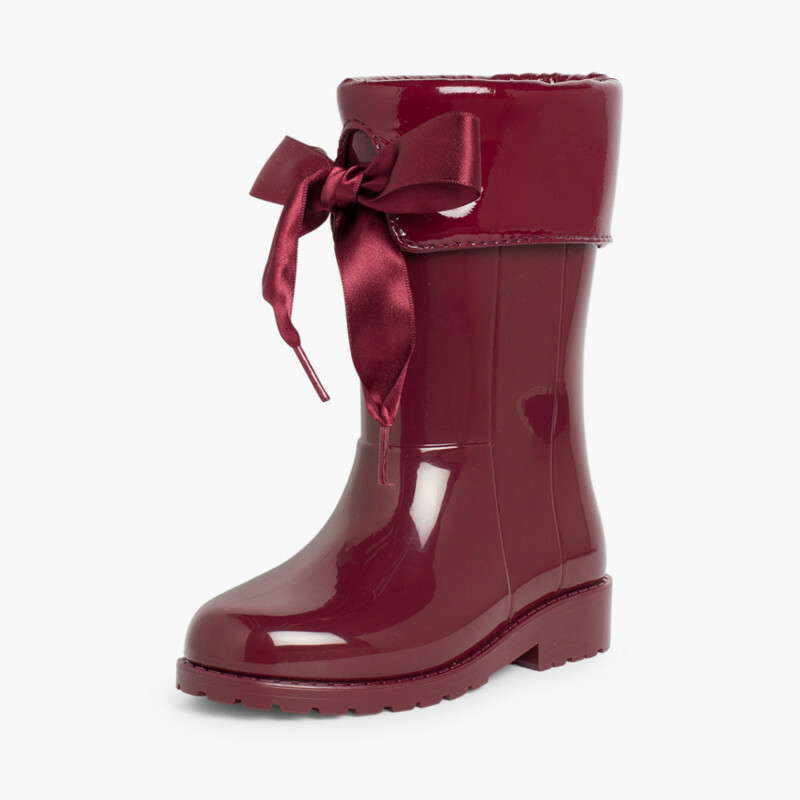 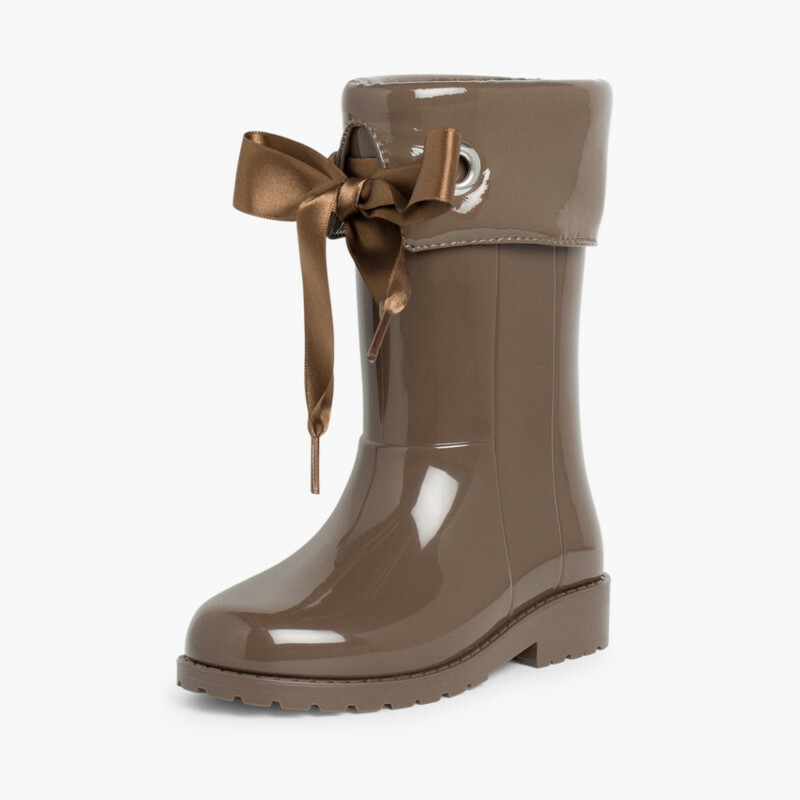 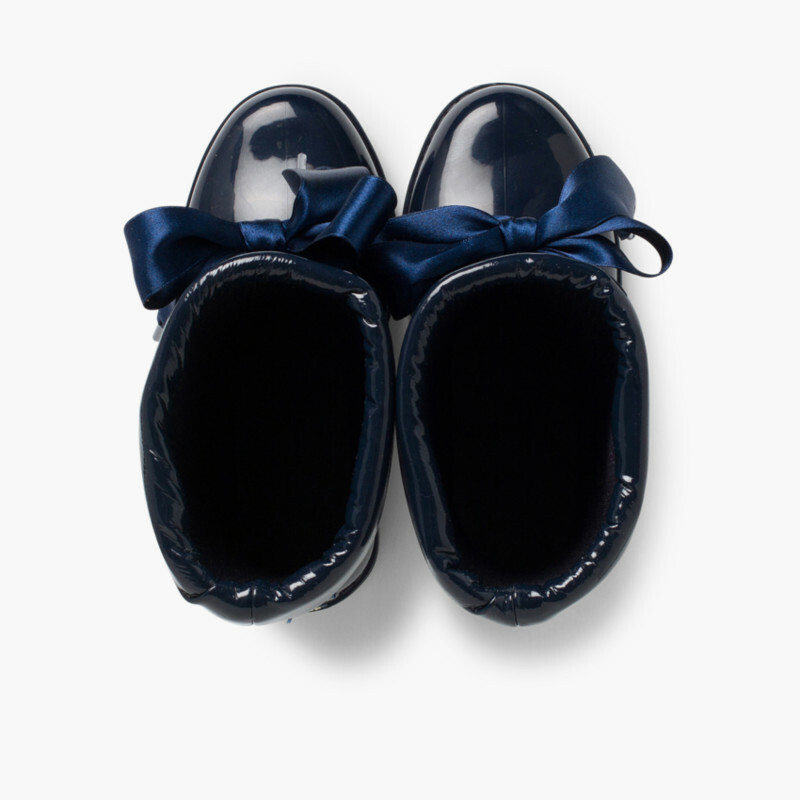 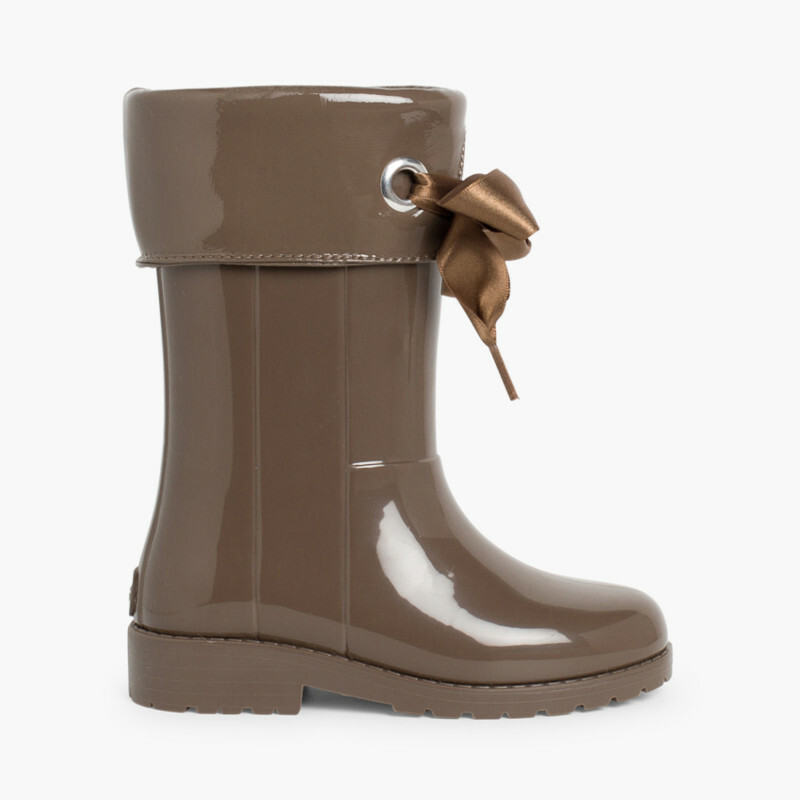 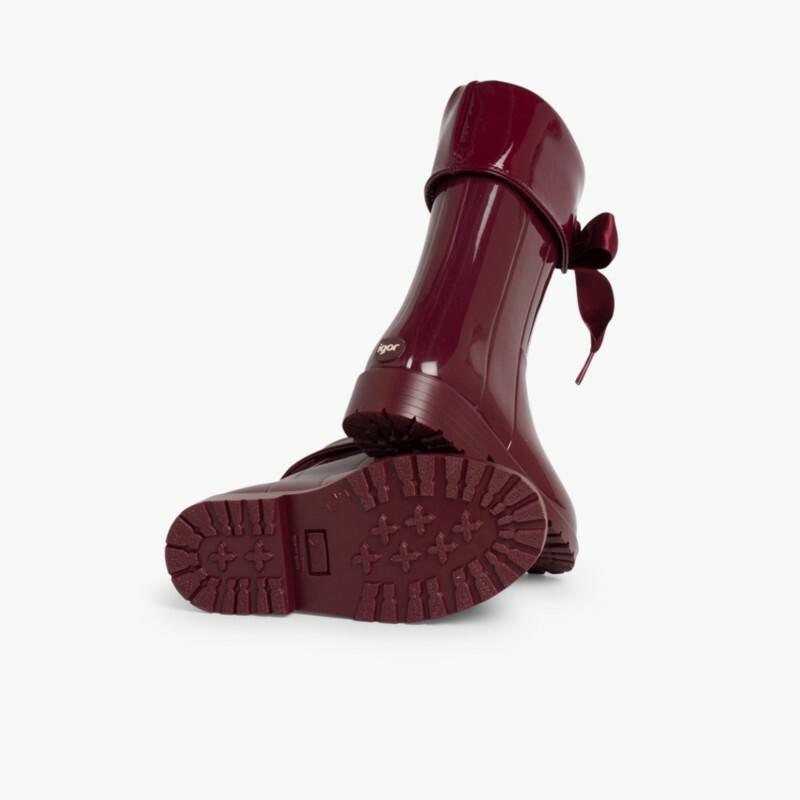 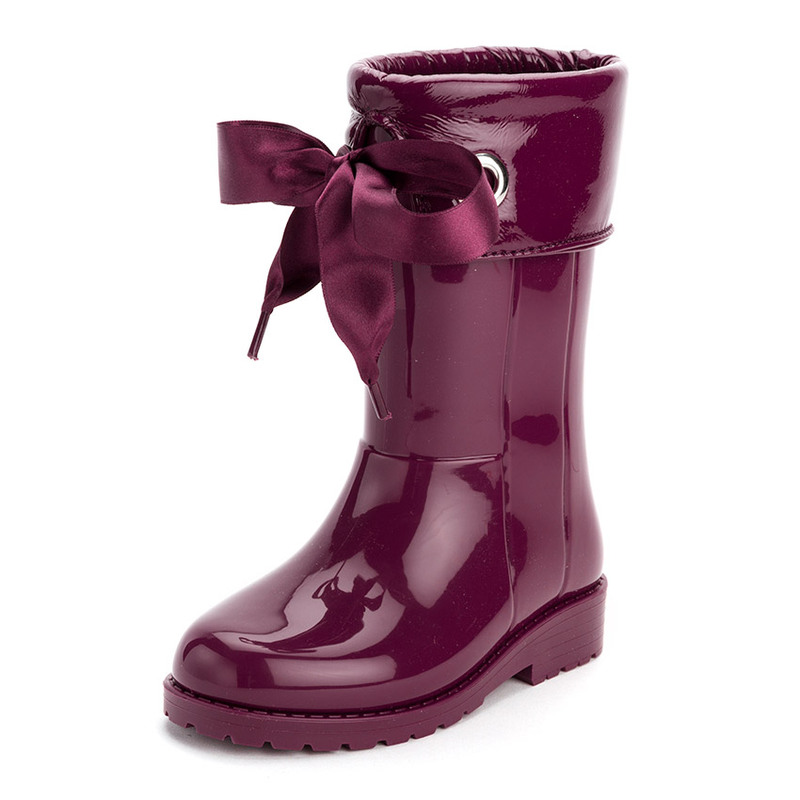 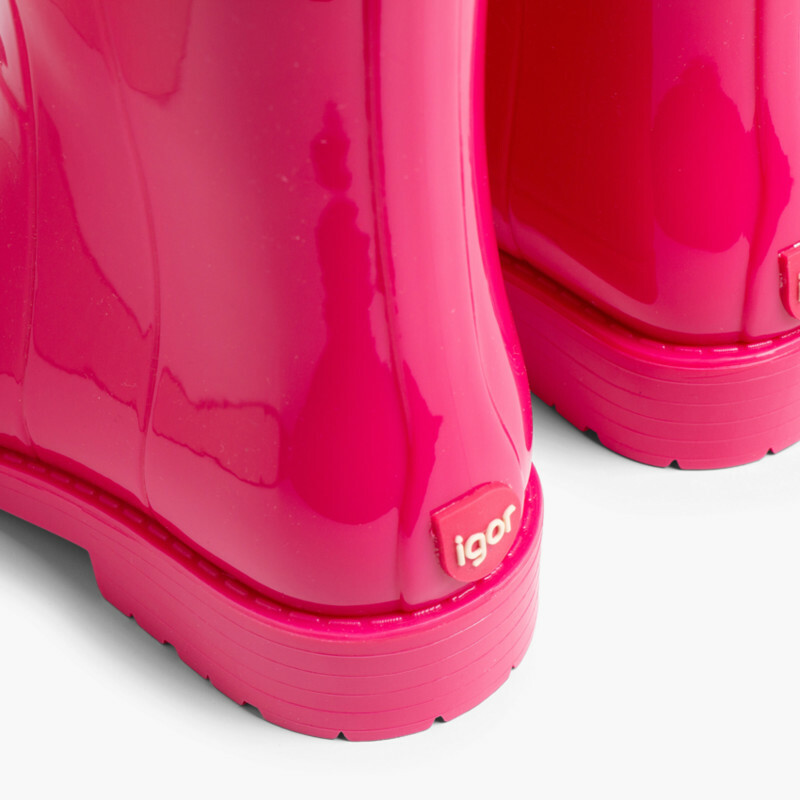 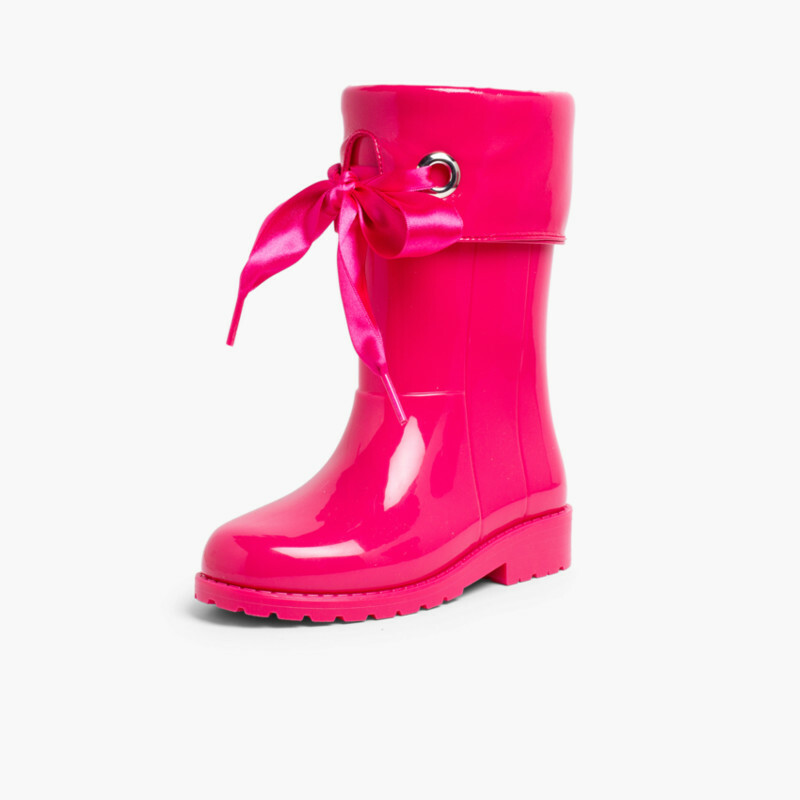 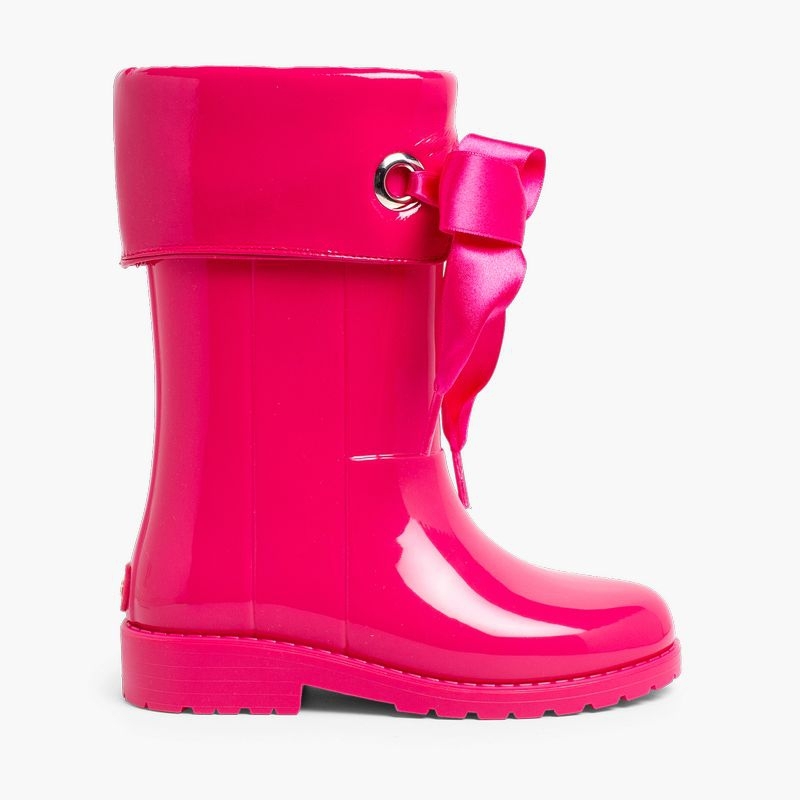 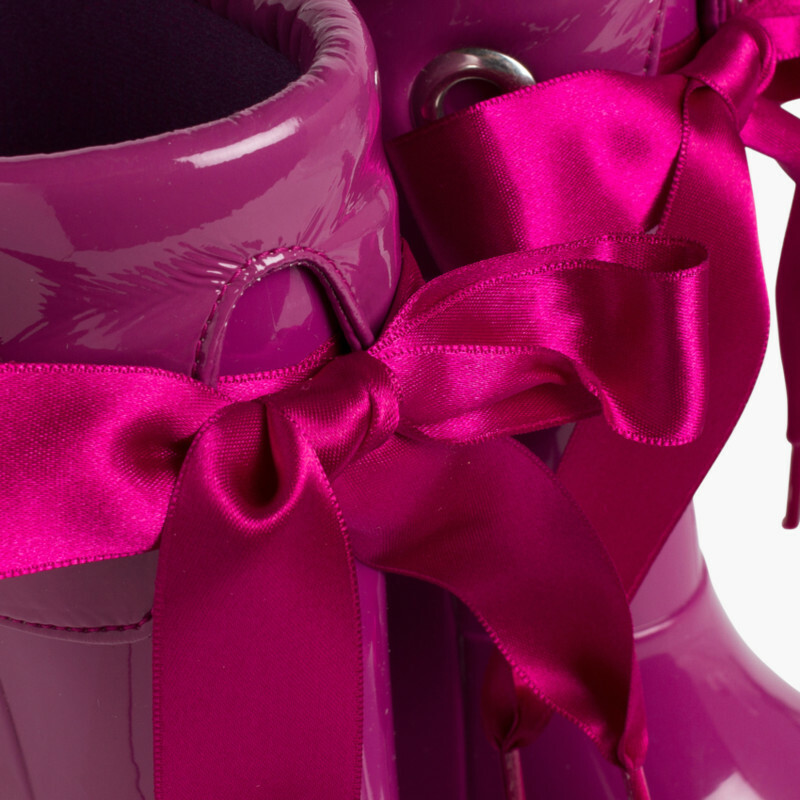 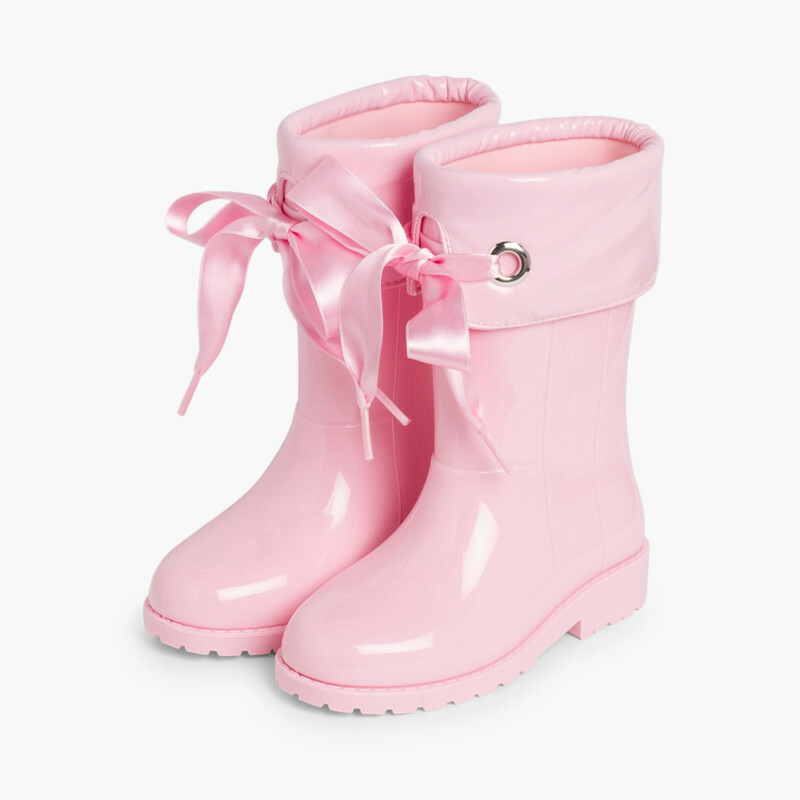 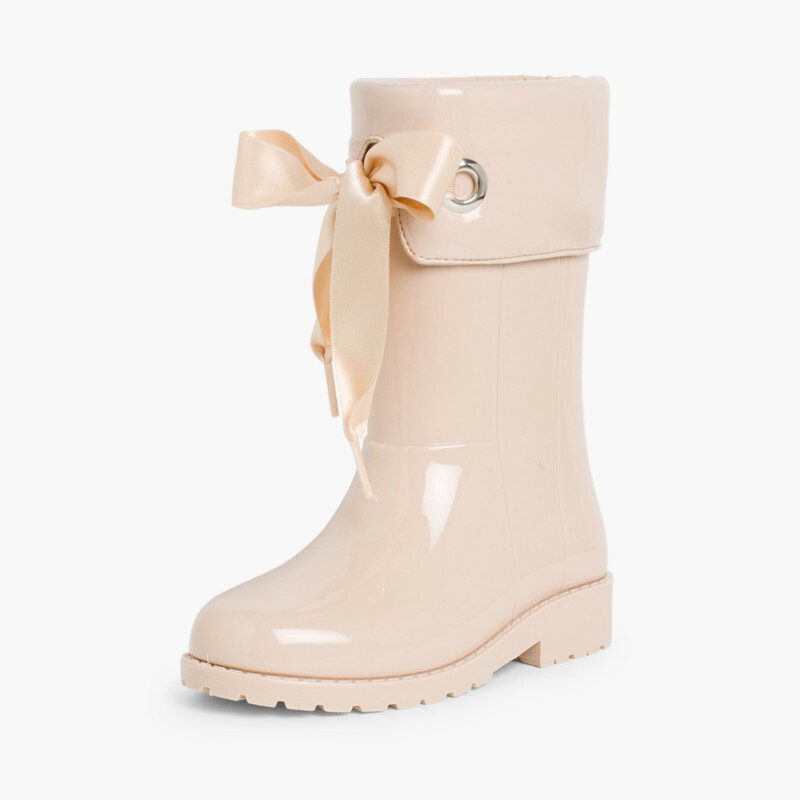 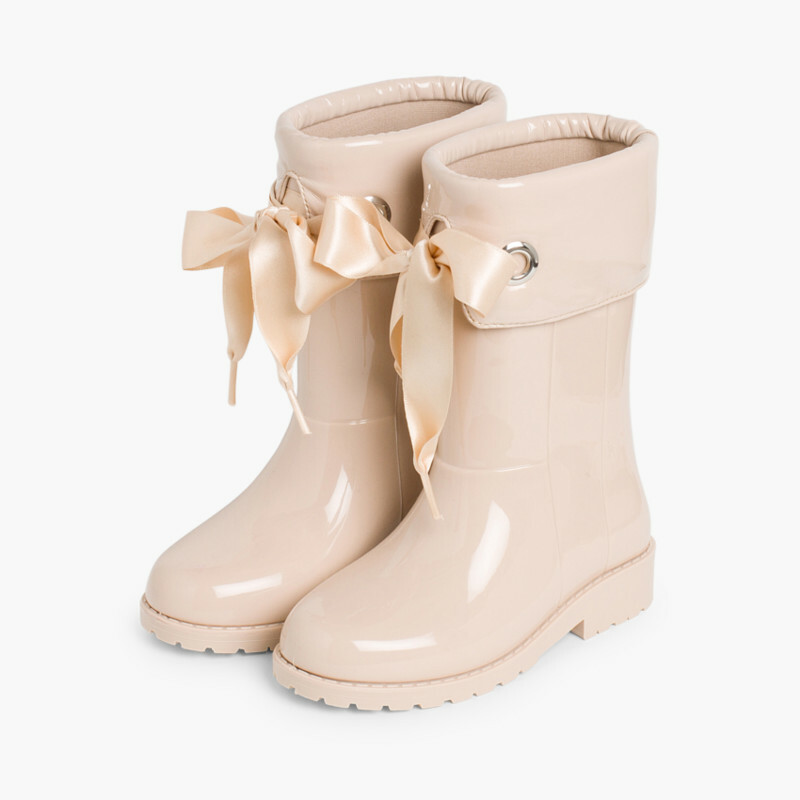 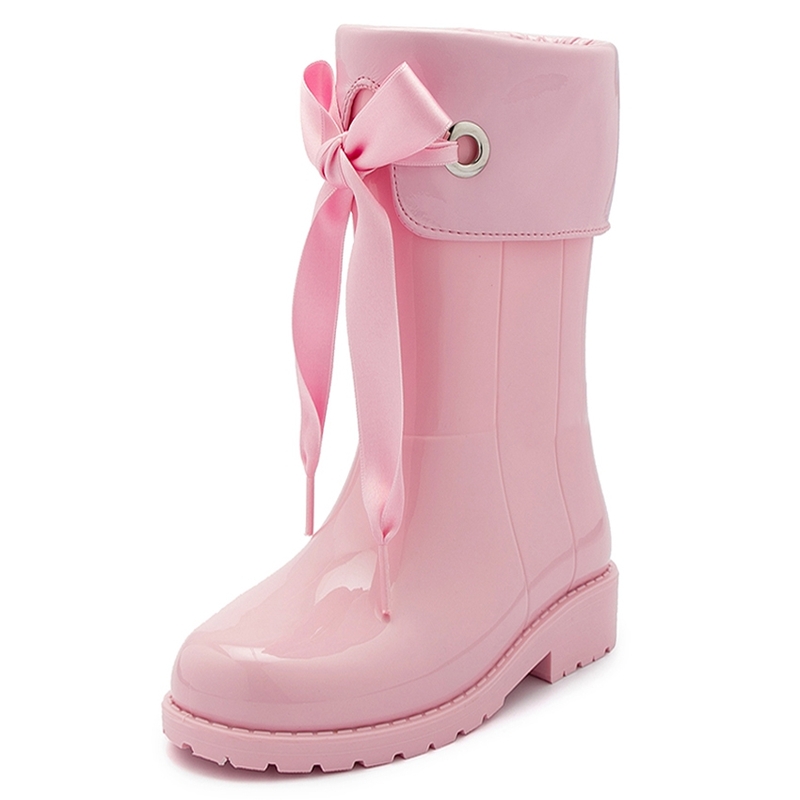 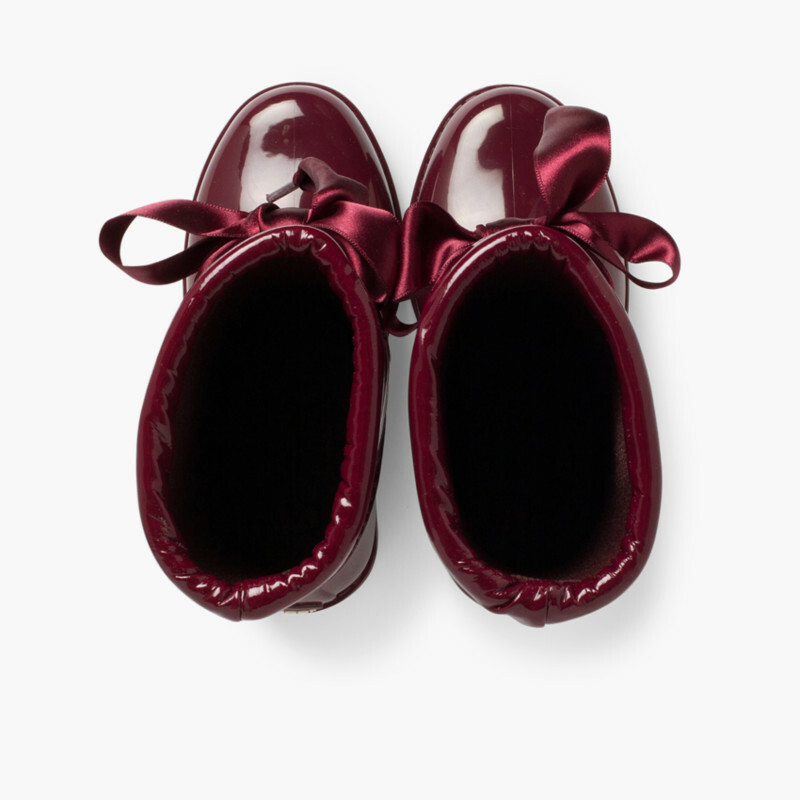 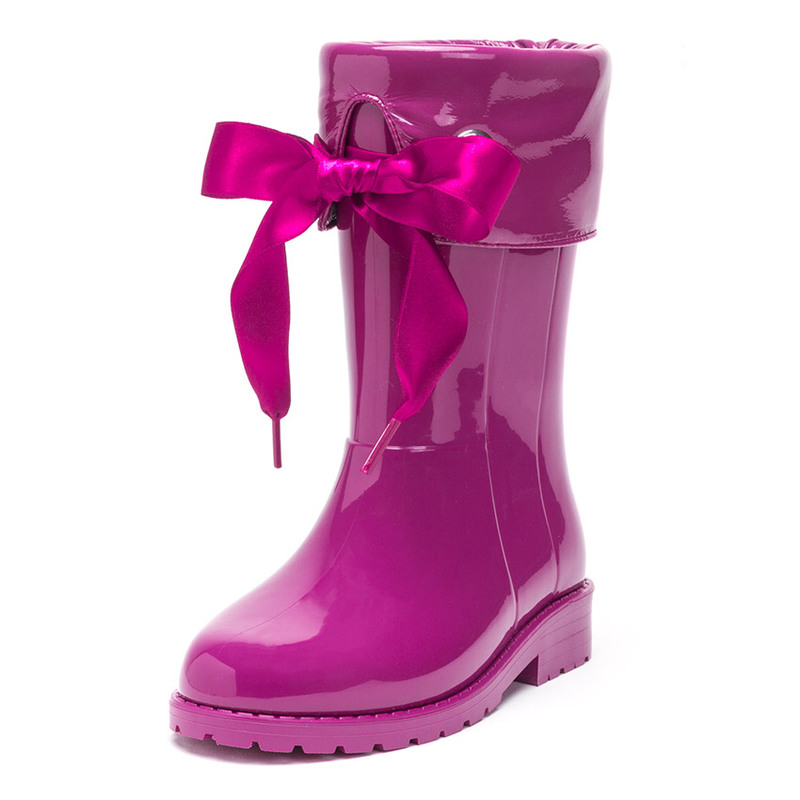 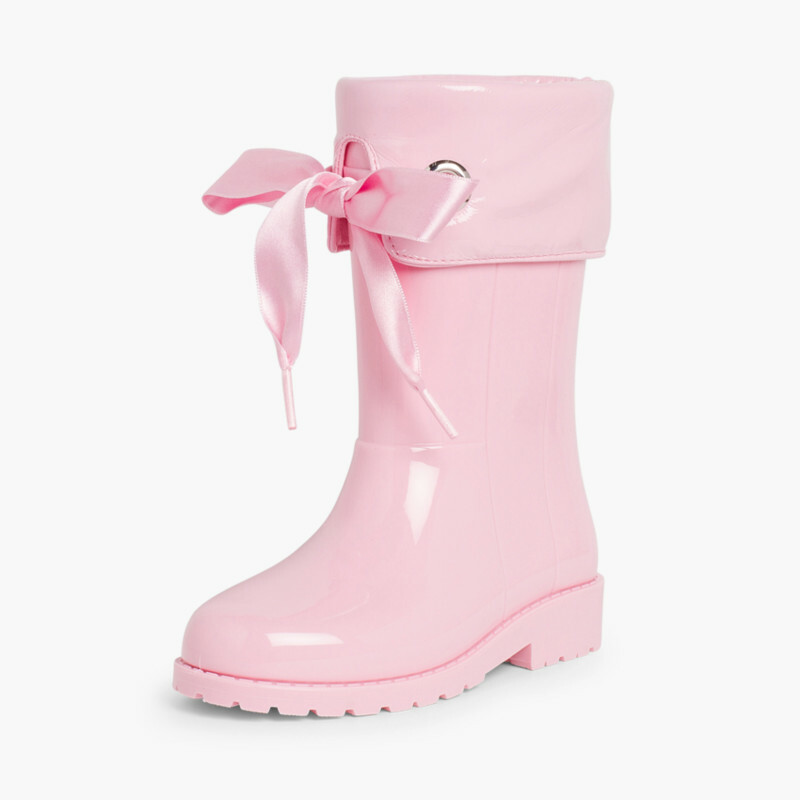 Gorgeous patent leather style wellies for girls by IGOR. 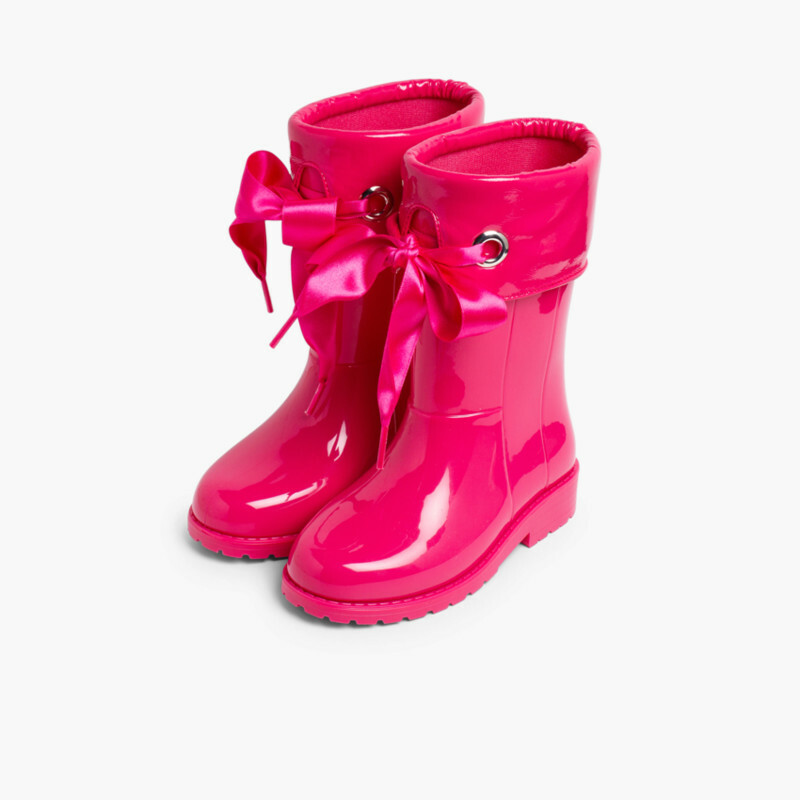 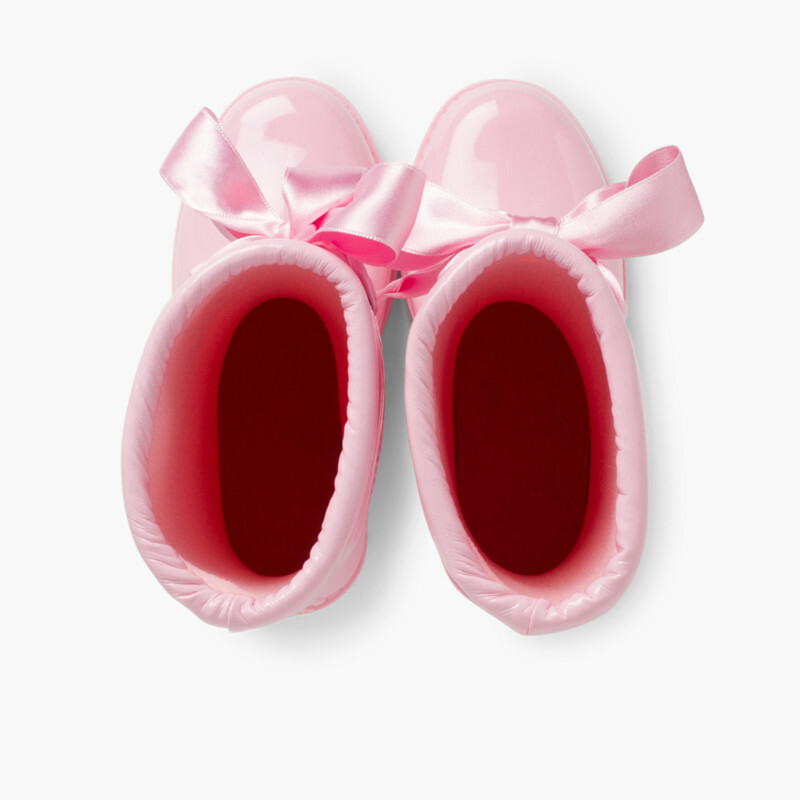 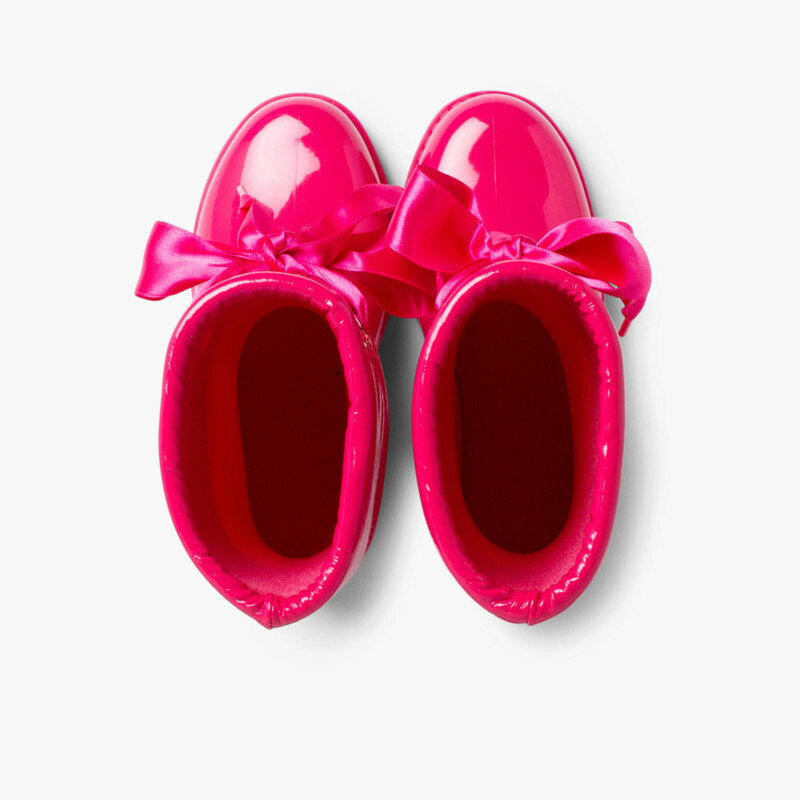 Sizes: UK 7(children) to UK 4. 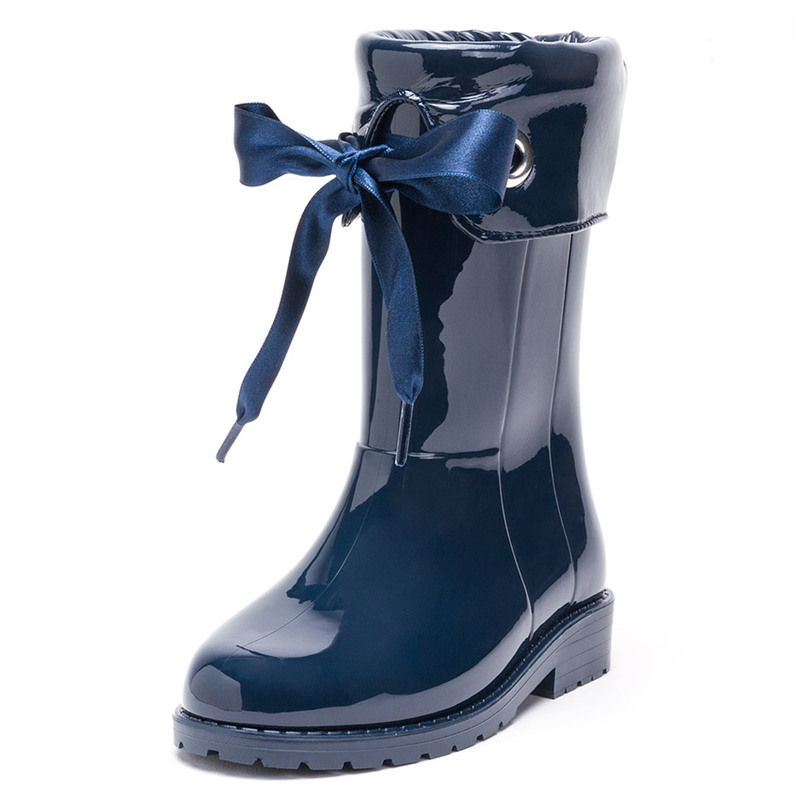 This super elegant model has has an adjustable strap finished with the hand tied satin bow. 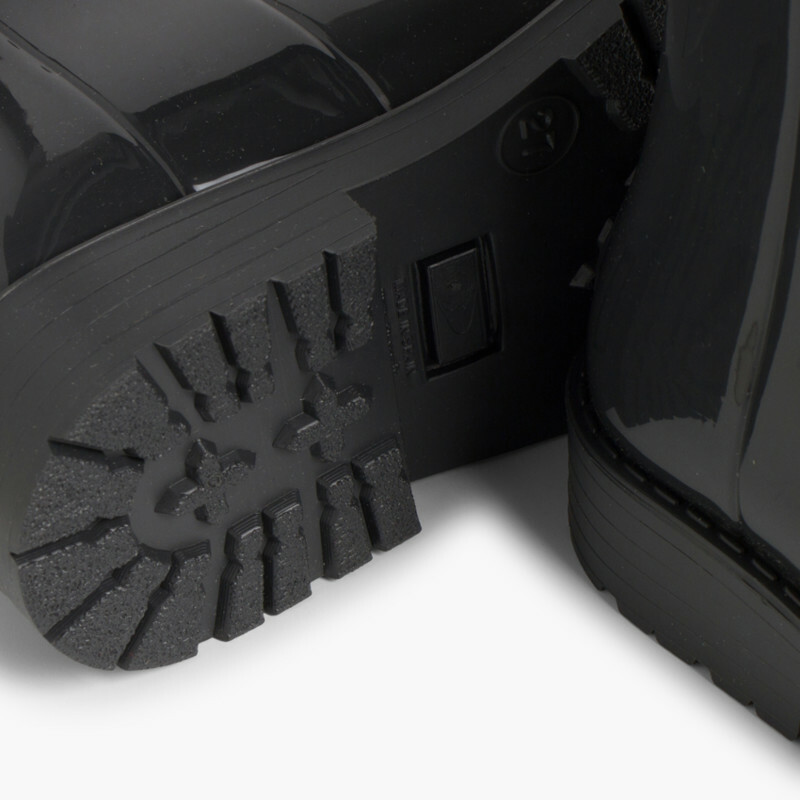 These boots are completely waterproof and also have woolen lining and leather fold over. 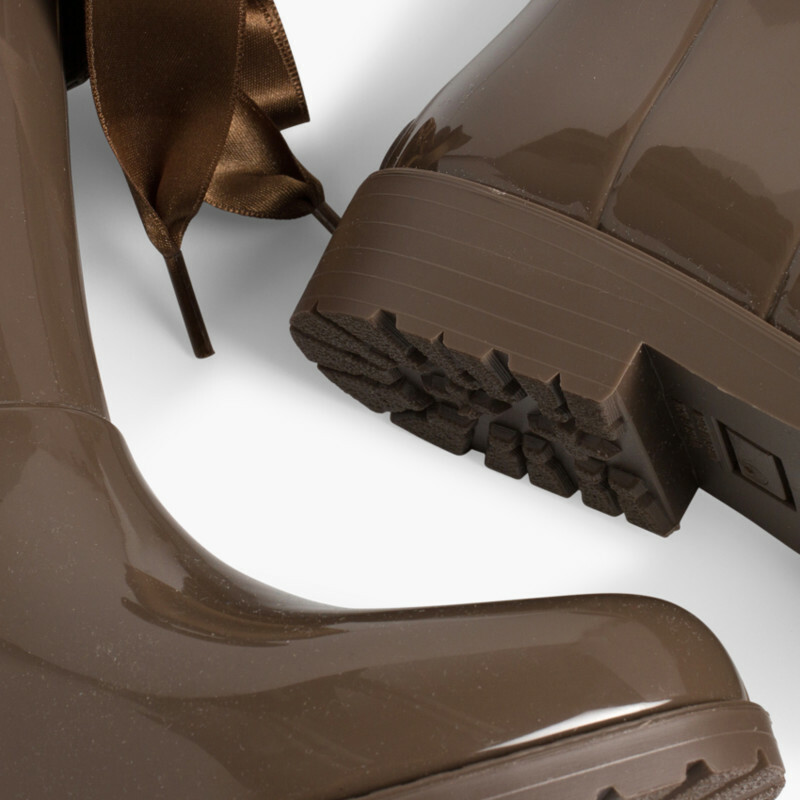 Made in Spain with quality materials and specially design to avoid falls or slips. 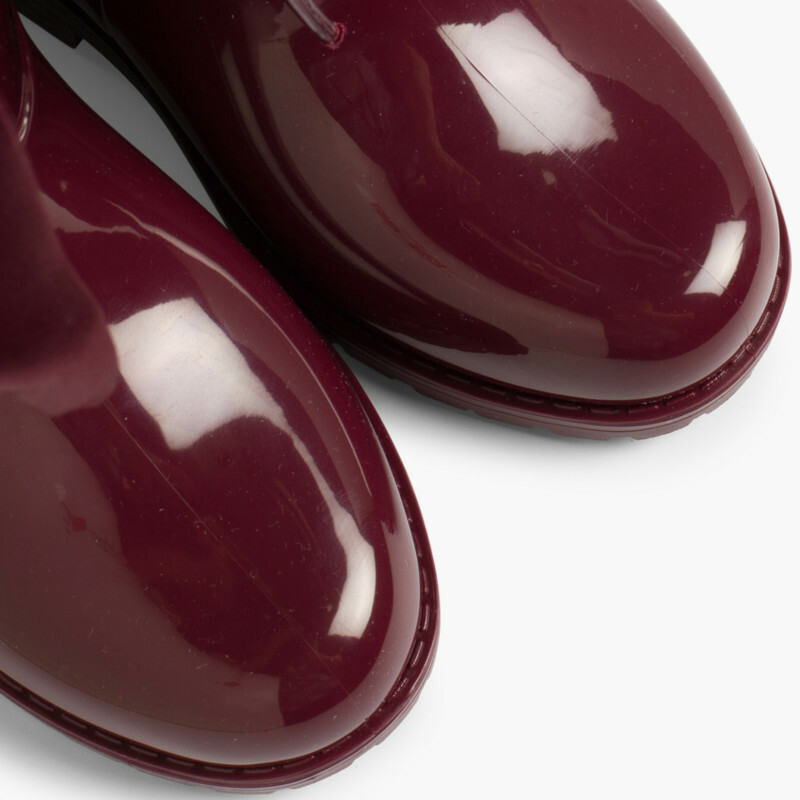 These lovely "singing in the rain" wellington boots, come in 7 bright colours: aubergine, beige, brown, burgundy, grey, pink and navy blue. 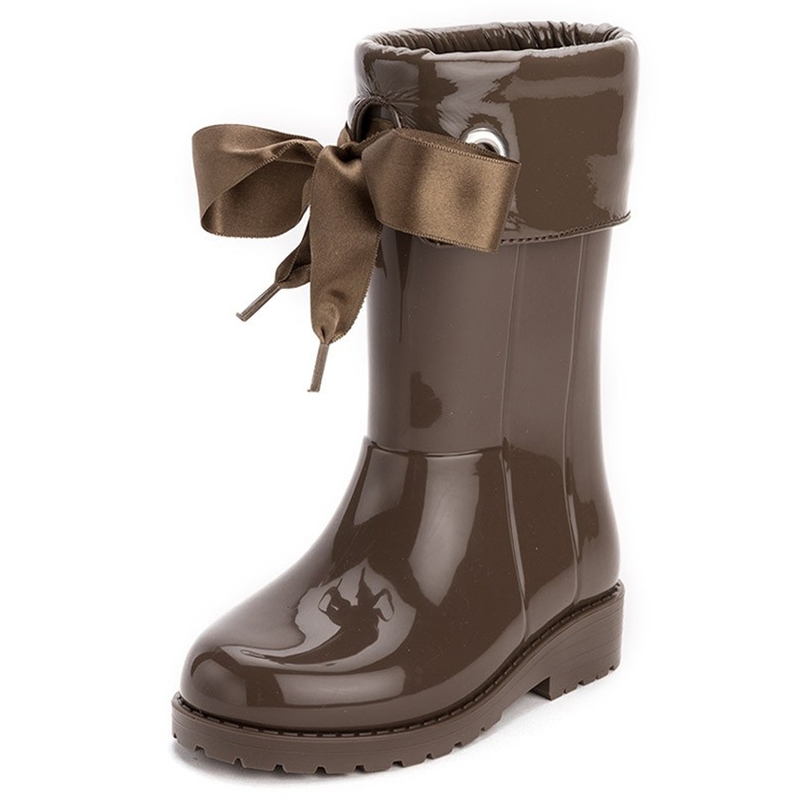 I would recommend your company to any parent who loves stylish, functional, well priced clothes for their children.